If you have tried repelling, excluding, and scaring away a pest animal to no avail, there is still hope. It can be trapped and removed, and we can help. 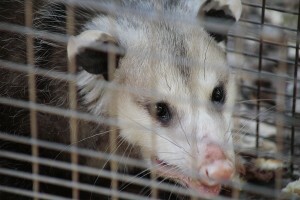 Texas Bug Team’s trained technicians can trap and remove skunks, raccoons, squirrels, and other unwanted wild animals from your home or business. After the animal or animals are removed exclusion is required to prevent them from re-entering the structure. In addition, if entry holes are not closed the entries that one animal makes can be expanded upon and used by other animals that were not previously there. It is important to eliminate these entries with reliable construction techniques. Texas Bug Team will make recommendations for excluding the unwanted animals from your home or business. Not the DIY type? We would love to do the exclusion work for you!